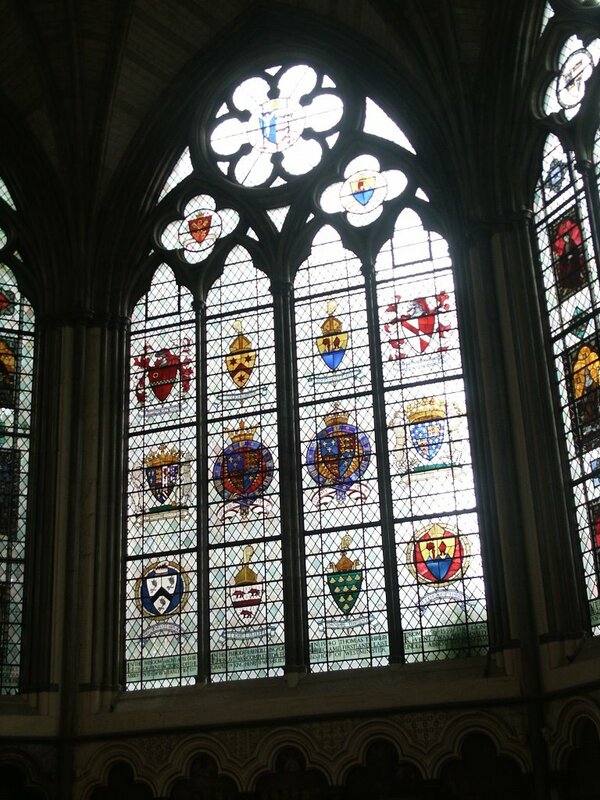 Westminster Abbey is really the Collegiate Church of St Peter, Westminster. The images are here and here. It has been a religious site since 616. The first time we were there the Scottish scone was still under the throne. In 1996 it was returned to Scotland. Here's the wikipedia page and here's their web site. Here's my picture of some stained glass.